This is a new form of Reiki being introduced by the ICRT. 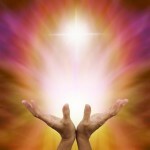 It is both powerful and gentle and provides purification, healing, empowerment and guidance. It is included as part of our Usui Reiki classes and has also been added to Karuna Reiki® training. These qualities are present in Level I&II and become more pronounced in the ART/Master and Karuna classes.